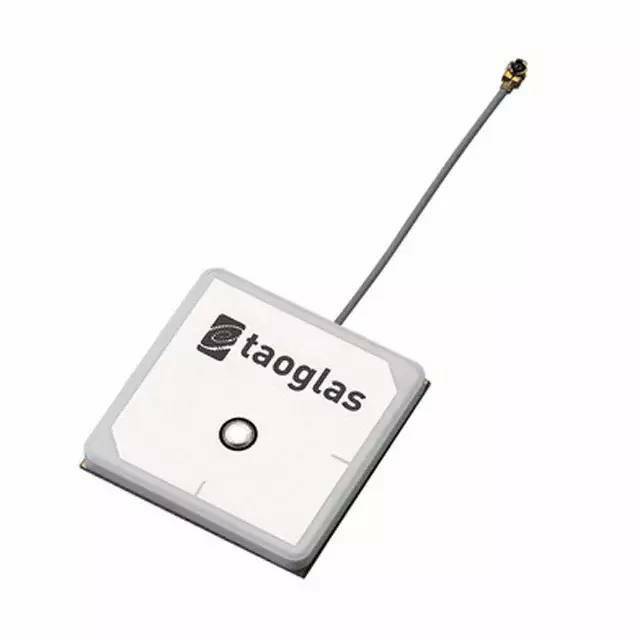 The AGGP.35F GPS � Glonass- GNSS active patch antenna (along with the AGGP.25 model) is the best choice to use as an embedded antenna with the latest generation of GPS-Glonass-GNSS receivers. It utliizes a 35*35*3.5mm advanced wide-band ceramic patch antenna with optimized gain, radiation patttern and axial ratio at GPS and Glonass centre frequencies. The AGGP.35F aslo includes a two stage LNA and a front-end SAW filter to reduce out of band noise such as from nearby cellular transceiver, and improve probability of the wireless device passing radiated spurious emissions certification. Produced in TS16949 automotive quality approved facility and 100% tested for gain (S21), return loss (S11) to ensure total consistency of performance. Cable type, length and connectors can be customized and samples offered according to requirement, subject to minimum order quantities in production. Taoglas also offers custom tuning service based on minimum order quantities, contact your local regional sales office for details. The AGGP.35F consists of 2 functional blocks � the LNA and also the patch antenna.